This first installment of Alan Gribben’s new multi-volume Mark Twain’s Literary Resources: A Reconstruction of His Library and Reading (NewSouth Books, 2017) recounts Dr. Gribben’s forty-five-year search for surviving volumes from the library assembled by Twain and his family members. Their collection of more than 3,000 titles was dispersed through donations and abrupt public auctions, but nearly a thousand of the books have been recovered. Dr. Gribben also adds many hundreds of other books, stories, essays, poems, songs, plays, operas, newspapers, and magazines with which Twain was demonstrably familiar. Dr. Gribben’s original Mark Twain’s Library: A Reconstruction (1980) soon went out of print and was listed for years as a rare book. 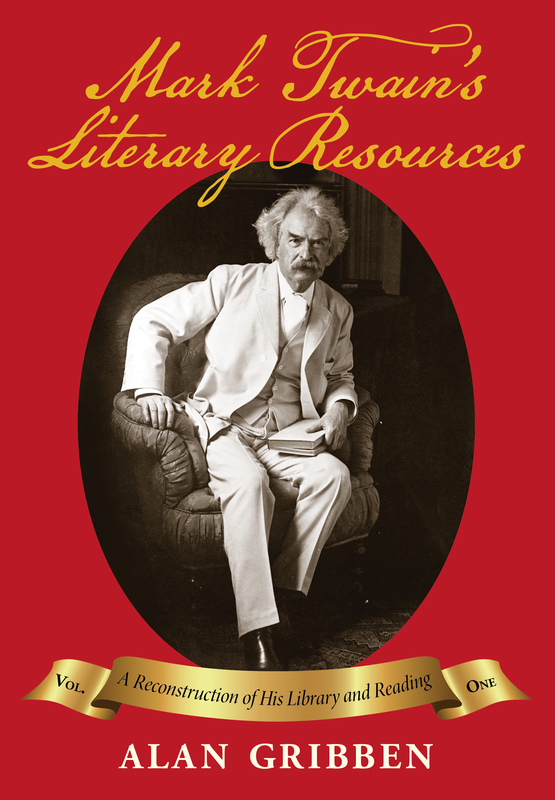 Now revised, enlarged, and updated, Mark Twain’s Literary Resources: A Reconstruction of His Library and Reading can greatly expand our comprehension of his reading tastes and literary knowledge. Volume One traces Twain’s extensive use of public libraries. It also identifies Twain’s favorite works, but shows that he had strong dislikes, too. Chapter 10 is devoted to his “Library of Literary Hogwash”—specimens of atrocious poetry and prose that he delighted in ridiculing. In describing Twain’s habit of annotating book margins, Dr. Gribben reveals his methods of detecting forged autographs and marginal notes that have fooled booksellers, collectors, and libraries. A total of twenty-five chapters study the patterns of his reading from various perspectives. A Critical Bibliography evaluates the numerous scholarly books and articles that have studied Twain’s reading. An index guides readers to Volume One’s diverse subjects. Forthcoming volumes of Mark Twain’s Literary Resources: A Reconstruction of His Library and Reading, scheduled for release in 2018, will deliver an Annotated Catalog arranged from A to Z that documents the staggering scope of his reading. Each volume of Dr. Gribben’s Mark Twain’s Literary Resources is sold separately.